The American Revolutionary War took a heavy toll on New York as a territory. Early on, the state fell to the British and became a haven for loyalists, but much of the planning involved in starting the insurrection began in New York City. Several key moments led directly to war, or to outcomes that pushed war. Following the conclusion of the Seven Years War, the British government needed money to replenish the dry post-war coffers. It passed a series of taxes on American colonists, the most divisive of which was the Stamp Act. Each tax was received by colonists as an unjust motion against rights they’d been unable to represent for themselves. A small group of American colonists who called themselves The Sons of Liberty began to openly discuss revolting against the British. Around this same time, the British were commissioning several military vessels meant to police the colonies and collect taxes. One of those ships, the HMS Gaspee, was burned by The Sons of Liberty in 1772. The British tried to extradite the attackers and try them in England, which ultimately failed. The act contributed immensely to growing tensions between the two groups. The Sons of Liberty began circulating messages such as “No Taxation Without Representation,” and started whispers of revolution. Those whispers became action with the Boston Tea Party, in which a group called The Sons of Liberty disguised themselves as Native Americans and ambushed a British boat carrying tea. 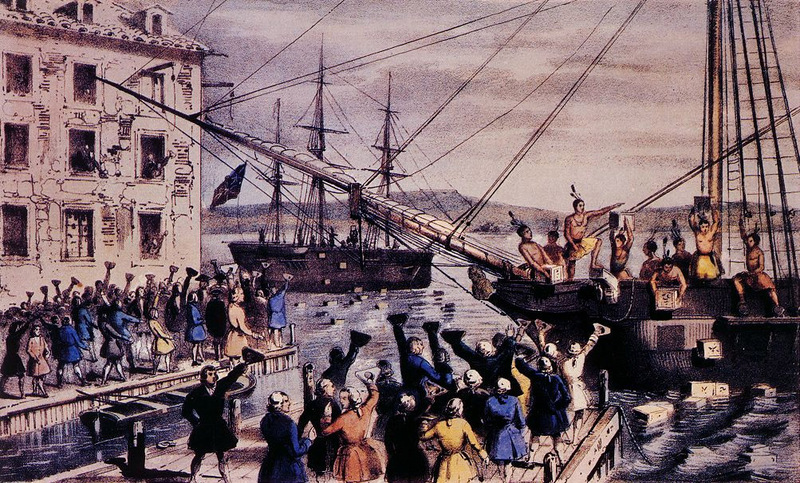 This was formal opposition to the British “Tea Act,” and was one of the primary actions that led to war. About the Author: Phineas Upham is an investor at a family office/ hedgefund, where he focuses on special situation illiquid investing. Before this position, Phin Upham was working at Morgan Stanley in the Media and Telecom group. You may contact Phin on his Phineas Upham website or Facebook page.